Whisk eggs add KNORR Garde d’Or Hollandaise Sauce. Heat oil and pour egg mix, cook one side until golden and turn over and cook until egg is almost cooked. Combine HELLMANN'S Real Mayonnaise and KNORR Mixed Chilli Puree. 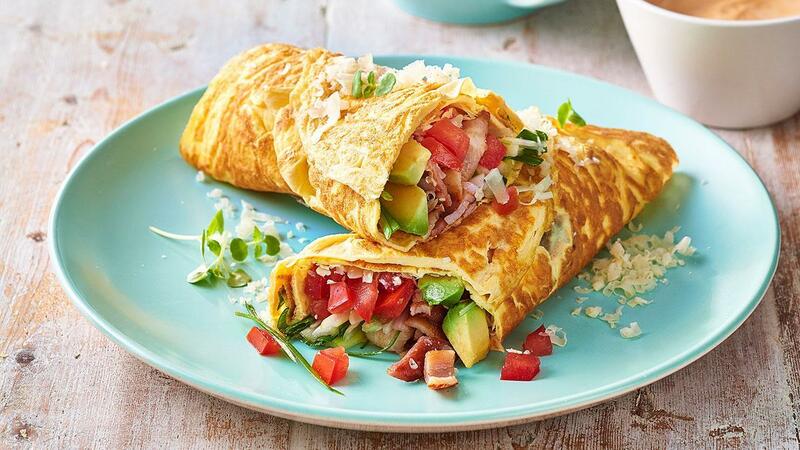 Evenly divide all ingredients in omelette and roll up. Serve with chilli mayonnaise.